Today, science and medicine recognize the value of multiple therapies for human well being. Reiki, Integrated Energy Therapy & MariEl (energy therapies) are non-evasive modalities which treat the whole person including body, emotions, mind and spirit, and creates beneficial effects such as pain reduction, relaxation and feelings of peace, security, serenity and well being. 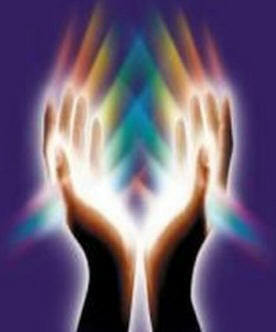 Energy therapy combines the effectiveness of counseling with the healing power of energy based bodywork. A session generally lasts about 45 minutes and one can expect to leave feeling refreshed and renewed. Energy therapy complements general medical therapies, and works well for those with chronic or degenerative diseases in decreasing the side effects of medications and treatments. Integrated Energy Therapy is the next level to heal with the energy of angels. Developed at the Center of Being, by Stevan J. Thayer, Carmela was part of the group that received the IET healing method and was one of the first IET practitioners. IET uses a divine angelic energy ray to work directly with your 12-Strand Spiritual DNA. IET supports you in safely and gently releasing limiting energy patterns of your past, empowering and balancing your life in the present, and helps you to reach for the stars as you evolve into your future. We start the session by discussing which areas of healing you wish to focus on. During the IET session, you lie fully clothed and relaxed on a massage table while soft soothing music is played in the background. Next, IET energy is systematically directed into specific areas of your body's cellular memory by means of gentle therapeutic touch, and powerful IET techniques are used to gently get your issues out of your tissues for good. Your first IET sessions will likely be focused on using the Basic and Intermediate IET ray to clear the limitations and pain from your past. As the pain from your past clears, we will use the Advanced IET ray to help you manifest your life’s vision and bring your dreams alive. Integrated Energy Therapy is complimentary to other healing arts and can be used alone or in combination with other holistic or traditional approaches to accelerate your self-healing journey. However, IET is not a replacement for traditional medical approaches. Integrated Energy Therapy is fun and easy to learn. It is a powerful self-healing technique and can be used to facilitate the treatment of clients. IET can be used as a stand-alone therapy technique or incorporated as a powerful addition to other techniques such as Reiki and Therapeutic Massage. Carmela offers a wide range of IET training programs as outlined below.